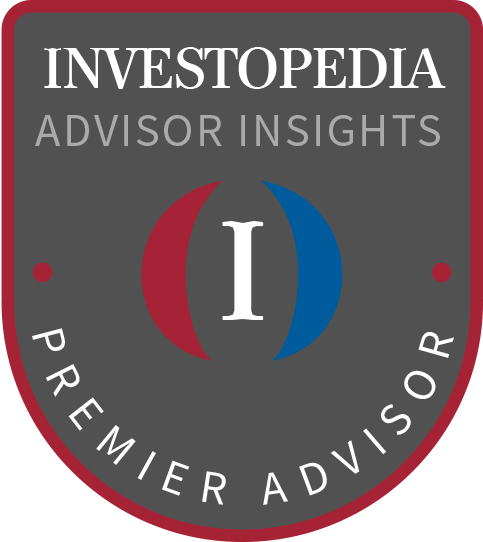 This article also appears in Investopedia and Yahoo! Finance. In one of my previous Blogs I discussed the merits of possibly delaying your Social Security until age 70. Under optimal conditions this could mean many more thousands of dollars for your retirement over your lifetime. One strategy that has been popular with spouses was to delay full Social Security and claim the spousal benefit. This allowed the spouse to claim half of what the other spouse would have received at their full Retirement Age. This also allowed time for her or his benefit to grow by 8% over 4-5 years. This was seen by politicians as gaming the system, so they changed the rules and phased out the spousal benefit. But they allowed some concessions. If you turned 62 prior to January 2, 2016, then here’s nifty strategy. When you turn 66+ and are eligible for full retirement benefits from Social Security, you have the option of suspending your benefit until you turn 70. Social Security guarantees an annual 8% benefit increase for every year you wait. That 32% increase can be significant over time. Once you suspend your benefit until you reach 70, you are eligible for 50% of what your spouse would have received when he/she reaches their full retirement age. For example, let’s say the husband’s benefit at age 66 was $1,500 per month. Now a couple of years later, the wife is eligible for her benefit. Her full amount would be $2,000 per month. She suspends that benefit in favor of $750 as the spousal benefit. In 4 years, her benefit would then be valued at $2,640 per month. Why take the lower amount now? The reason is because over her lifetime it could be worth thousands more than she would have received by claiming the traditional path. The above scenario is precisely why President Obama wanted this loop hole closed. Too rich of a benefit. Unfortunately, President Obama was successful and anyone who turned 62 after January 2, 2016, can no longer use the spousal benefit strategy. However, they can still defer their benefit until age 70 gaining the generous 8% per year increase. By delaying your benefits until later you are adding more pressure to your portfolio in the first few years of retirement. However, as the increased social security benefit comes into the picture the amount of reliance on your portfolio should diminish, thus may leave you with more money later in life. Folks who had already implemented a “file and suspend” strategy, will be “grandfathered” and allowed to continue with their claiming strategy. Clients who qualify had until April 30, 2016, to implement a “file and suspend” strategy if they attained full retirement age by the end of this 6-month window. After this period, any request to suspend benefits will stop all payments of benefits on a worker’s record including spousal and other family benefits. Decisions you make about Social Security are probably the most important and critical financial decisions you will ever make. Let a professional help you through the maze. There are many factors that need to be considered before delaying full Social Security income. One needs to consider, health, financial standard of living requirements, taxes, insurance, the size of your portfolio, etc. A well trained Financial Planner / Advisor will take the time to calculate your options and review the best course of action. To claim Social Security at 62 vs. 66-67* vs. 70 will, for many Americans, be one of the most important financial decision they’ll ever make. Under the rules of the Social Security system, you can start your Social Security retirement benefits as early as age 62 or as late as age 70. Your monthly benefit amount will be different depending on the age you start receiving it. 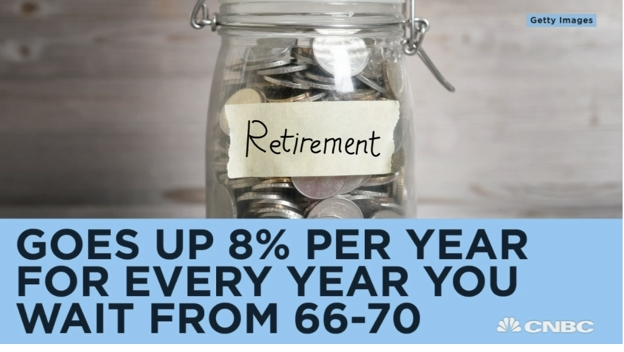 You receive more if you wait until your “full retirement age,” which is defined as 66 or 67, depending on when you were born. And you get even bigger checks if you wait until age 70. You’ll hear various financial experts that know a thing or two — generally (but not specifically for your individual situation) — say to wait if you can. Would that it was that easy. There are so many factors to consider and hundreds if not thousands of ways to claim Social Security benefits. Some of you may need income early, while others of you may be more concerned about having the highest income possible later when your savings may be running low. And some of you may plan to work longer than others. Regardless, before you begin benefits, your complete financial picture needs to be evaluated so that you can make the best choice for your situation. If Social Security is taken early, income is provided early resulting in less that must be withdrawn from your own portfolio savings in those years. The reverse is also true: if Social Security is delayed, more income for living must be withdrawn from your portfolio. But you receive delayed retirement credits that will increase your payment. The lesson: maximizing your benefits and choosing a smart strategy that protects you against longevity risk makes a material difference in your retirement income and portfolio longevity. Married couples can take advantage of more strategies to get more benefits. Spousal benefits captured in combination with retirement benefits can mean the addition of thousands of dollars more in benefits each year. Even if a spouse has never worked outside the home, he or she can claim a spousal benefit on a worker’s record. The next article in the series will cover this topic. In summary, the rules are complicated. They are voluminous. While you may be able to do some internet research, listen to financial experts and learn a few of the rules, the likelihood that you will overlook something important is significant. It’s been said that Social Security is like a Rubric’s Cube; it would be simple if it were all one color, but it’s not. The best choice involves literally the act of combining all the complicated rules into a personalized plan for you to claim benefits for an outcome. Eugenio Financial can remove the complexity and make it simple for you to choose the optimal personal claiming strategy for your individual situation to achieve maximum advantage. Contact or call us anytime.